California to Africa, finally settling in Syracuse last year with his wife, Sheridonna, and two children. Using the Salt City as home base for his game plan to take over the commercial airwaves, Black is currently hopping from state to state to promote the sale of his independent record The Woarth. At Onajava, Black's invited industry professionals pointed to one word: perseverance. Al Somlo from Able Al's Sound Shop speculated that it takes the average artist 10 years to break into the bigger end of the business. That's not just 10 years writing songs and playing in your garage; it's promoting concerts, plugging into a local audience and then moving sales to reach a countrywide fan base. "If people are aware that you exist in the local market," Somlo said, "it increases your chances of selling nationally." So for no charge, Somlo helps independent upstate and national independent artists sell CDs and direct digital downloads through http://www.yrbook.com/soundshop/ . Al Somlo lets musicians worry about making music rather than pitching sales of their records to music stores. Kevin "K-Luv" Owens, owner of the CD shop World of Music, addressed the lack of direction in today's youth: "Today, even filling up your gas tank, you better have a vision." Owens advances his hard-work ethic by giving discounted and free discs to kids who can present him with an impressive report card, as long as they are accompanied by a guardian. Black also hosted an onslaught of artists representing the variety of the local scene. From African drumming and dancing to soul piano and folk rock to rap, the groups revved up the room for the high-energy Black to cap the night with a few songs from The Woarth. 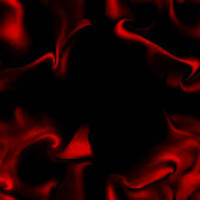 Black also invited his wife to provide backing vocals for "Doing Things," a track about coming up in the business. ("We are doing things/ Everyday is a hustle man.") "Little things turn into big things," said Kevin Owens. "We in a little room today. We might be in the OnCenter tomorrow." impressive live performance slot to his recent credit. D.C. for four straight days. encourage each other to build, not break down." a lot of people who didn't make it to see their birthday, the next day, their kids play." churlish enough to satisfy the roughest hip-hopper. What a show ….Shouts out to Babu of Alphabet Lounge for allowing us to have the event at his spot….Things got rolling ….starting off with Royal Witt…then things got poppin win Zaar, Nate Victor and Steve……Hot show “My Perspective” a cut on the Hip Hop Palooza Compilation was performed with vigorous enthusiasm……Then came Princess of Controversy….she brought the heat yall kicking hits like “Serenity” and “No More.” Then Came….Jimmy Black rocking “Its Hot” and ”Hunger in my Eyes”….then came Brother MANIAC who rocked “Dyn-o-mite”, “School No More”, “Shot Gun”, and “Imagine” with Jimmy Black….hot set…rocking……..Next up was D en D Productions…their show was energetic…rocking hits “the business” and “Back it up”—These cats know how to bring it……Then came the man of the hour Tah Phrum Duh Bush…who kicked madd freestyle lyrics….by audience suggestions…..and his classic classroom cut Micro PH one 101 gives every MC instruction on how to work a Microphone…then another Tah Classic….Lay that Pipe….worked the crowd into a frenzy….New York….was hot yall….. 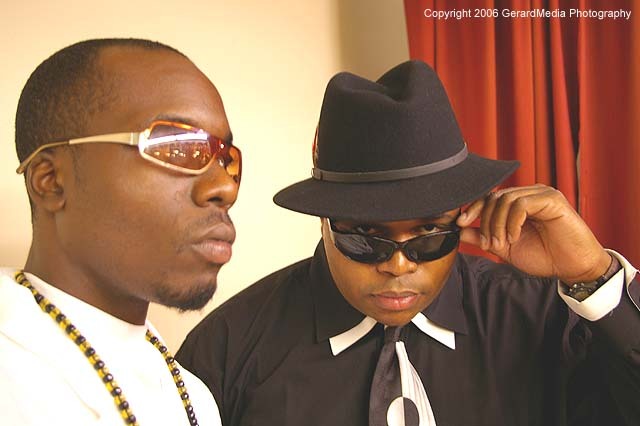 Brother MANIAC and Jimmy Black performed live as a part of the Beka Entertainment Showcase. 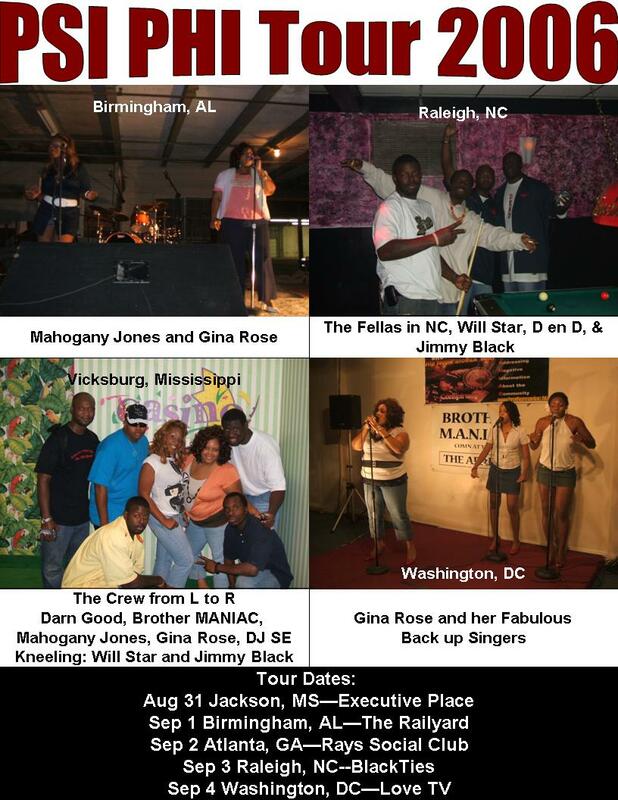 Other artist who also performed…was Mr. Whitefolks, Re-up Boys, Shell-BE-Raw and Big Lou. Can I say this show was Hott…..it was like 85 degrees @ The Fire Up in Philly….But that did not stop B.O.E., Nvuus, Major Impact, A-1, and Young Star From Rocking the mic with much Energy……This Show was hosted by SADE Records own: Versatile….More Hot Performances from R&B artist Jae and Will Star…..Then came the featured artist Princess of Controversy—who kicked “Serenity” ,“A Soldgette Story” and other cuts from her album “Personal Messenger”….Then Came Brother MANIAC and Jimmy Black Rocking “it’s Hot”, “Dyn-o-mite”, and the soon to be released Single Video “Imagine”. 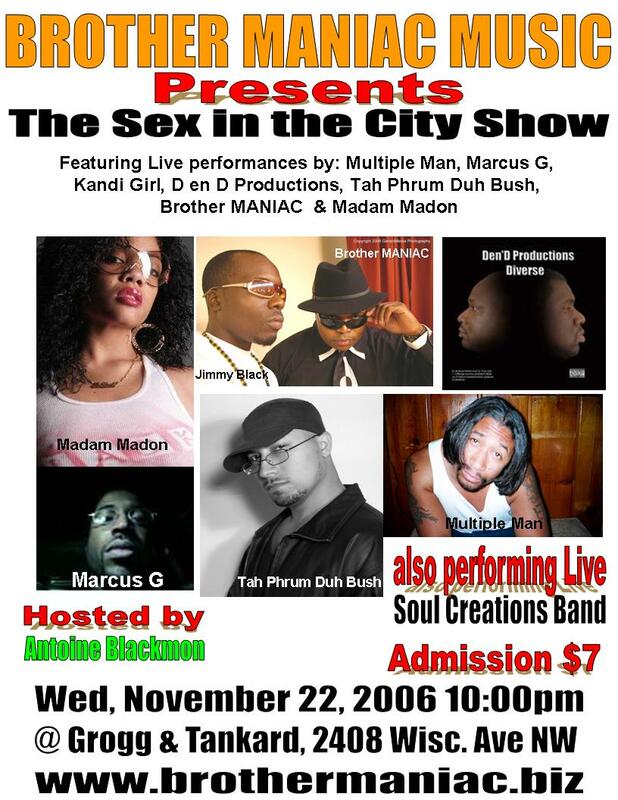 D en D productions brought the heat with their underground hits “The Business” and “Back it up.” Next up was Tah Phrum Duh Bush with an unforgettable performance of “Microphone 101” and “high NRG”…..Then came the man of the hour The Indikator…who rocked my microphone and other cuts from his recently released CD……This show was very hott…. This is a show I know I will never forget for awhile…..ATL is the ish yall. 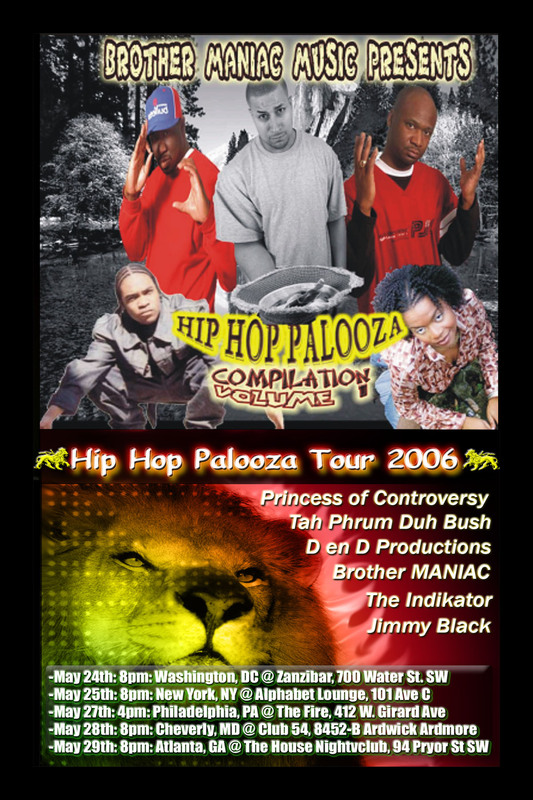 Now there were about 7 acts that went on before the featured acts most of them were doing a version of the popular “Crunk Sound”. I missed most of them( usually I was outside networking with the many managers and label persons….who were at the event….So here is how things went once the featured artist performed. It all got started with and electrifying performance from KLM and Micheal Jaye…..rocking the fire….and dancing to the latest hit by Chritina Millian and others. 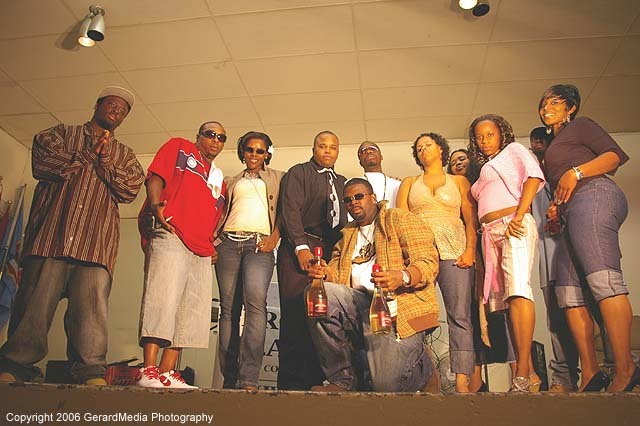 The True Brother MANIAC Crew.... From Left to Right: Chris, C-Styles, Sheridonna, Brother MANIAC, Jimmy Black, ShellBe Raw, Gina Rose, Domonique, KLM, Mahogany.. kneeling in front is Will Star... Live from the BM Release Party July 8th, 2006 at Colmar Manor's Town Hall, in Colmar Manor, MD.